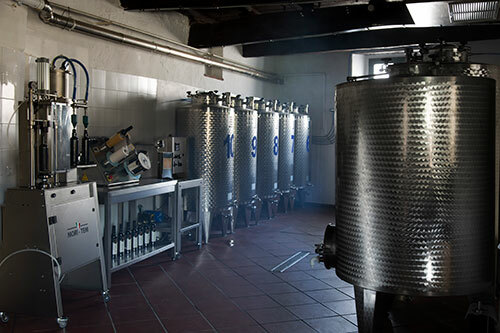 Olive oil company philosophy - Malvetani Società Agricola S.S.
A centuries-old tradition and passion for the land combined with the latest technologies to achieve uncompromising quality. In the olive grove, our company, which adheres to agri-environmental measureshas been the first in Italy to adopt a technology developed by a young Start Up (Elaisian) in collaboration with the University of Perugia, which allows accurate monitoring of olive trees in order to prevent diseases and to optimize resources in the cultivation processes. A number of devices installed in the field gather a huge amountof data 24 hours a day, so proprietary algorithms cross this data with agronomic studies and are able to indicate when it is necessary to intervene in olive groves with treatments and fertilizers and when it is not. 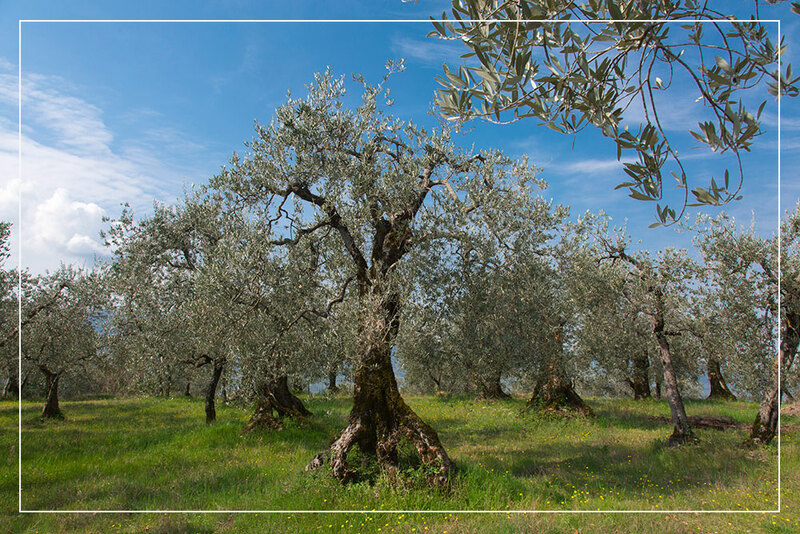 Other companies tend to treat and fertilize the olive groves excessively, more than necessary, perhaps with increased production but certainly with a decrease in quality. With this innovative monitoring system, our company is able to optimize interventions, on the one hand reducing costs while, on the other, and more importantly, maximizing the quality of the olives and therefore of the oil. 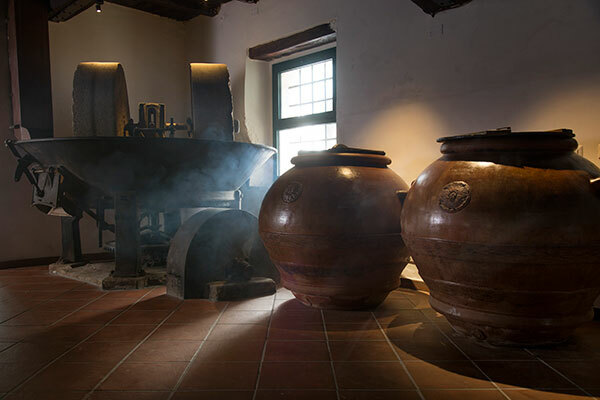 In the mill, located in the same building for more than 100 years which still retains the old stone mills, the ancient press and the beautiful terracotta big jars, our company adopts the most modern of technologies. The olives, after passing through a de-leafing and de-branching process, are then washed in running water and dried before being crushed. 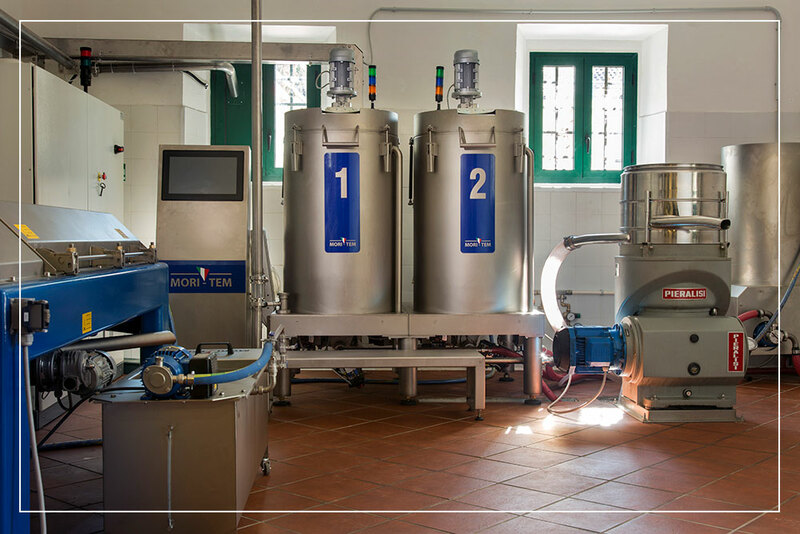 Our company is one of the few in Italy to use a heat exchanger to bring the paste of the olives to the desired temperature before entering the decanter. This allows for a substantial reduction of kneading time of the olive paste to only a few minutes before heading to the decanter. This process results in an olive oil richer in antioxidants and polyphenols . The EVOO "Messer Francesco 1640" is extracted at very low temperature, well below the 27 degrees centigrade that the law provides as the maximum limit for "cold" extraction. The process also takes place in controlled atmosphere and without the addition of water. The result is an excellent and exclusive product of remarkable quality, equilibrium and elegance, with the preservation of all the aromas and antioxidant principles that with heat and with the addition of water would have been lost.At the end of the process, the oil is stored in stainless steel vessels under inert gas (argon) to preserve its precious features until it is sold to customers. The warehouse is equipped with a modern air conditioning system to maintain the ideal temperature for storing oil throughout the year.